A punter at Cheltenham has been caught on camera taking a hearty swig from a flask concealed inside a pair of binoculars. 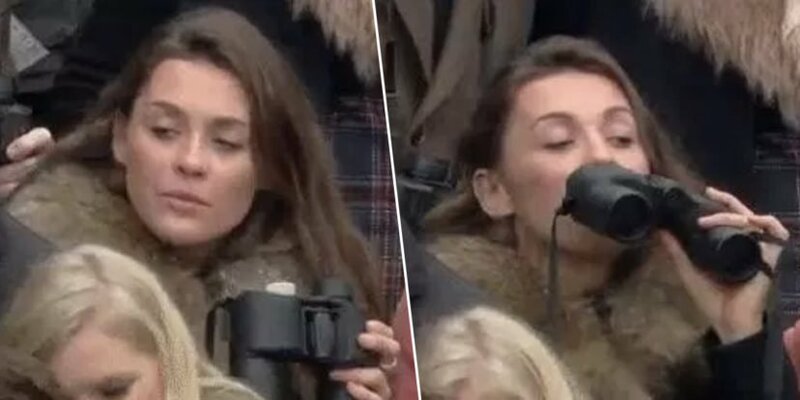 The cheeky racegoer was at the New Year’s Day Racing when she was spotted by ITV cameras taking a quick refreshment break. As the punter lifts the binoculars towards her face, she stealthily tips the flask into her mouth instead. Her stroke of innovation was seemingly able to avoid security at the West Country track, but not the cameras – much to the delight of people on Twitter. The flask, which is hidden inside the right lens of the binoculars, provided the race fan with the perfect cover to drink the liquid. The re-designed binoculars are available on Amazon for USD 15.